If you live in the United States, you probably recognise the Ford Focus as a generic small car. If you live in Europe, you might think of it as a great sport compact and WRC champion. My friend Clint has a Focus, and it is certainly not your common commuter. 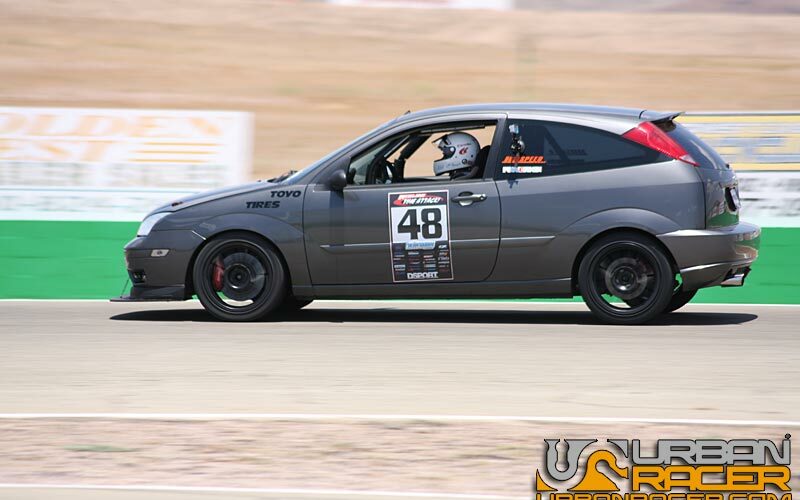 Clint’s Focus is mostly a race car. I say mostly because you might occasionally find it driving around west la or maybe up on malibu canyon roads. On racing slicks. Like I said, the real purpose of the car is the race track. 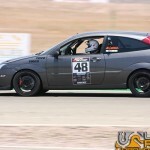 Clint is an instructor and has been racing in the Redline time attack series. 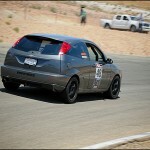 To do this racing, the car has a whole boatload of parts you wouldn’t even expect to be available for a Ford Focus. A big, big list of Cosworth engine parts, a GT2860RS turbo, Bilsteins, big Brembos, and a roll cage round out the short list. 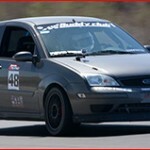 He also has help from his dad, Focussport, HB Speed, and RobiSpec. 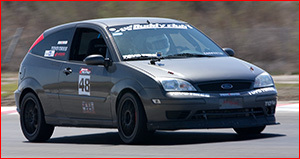 Even with a low budget compared to some other FWD street class cars, Clint has managed to podium at both California events this season, even while running the “H” sticker. Love Foci! My bro had an ’03 2.3L pzev with all the goodies. 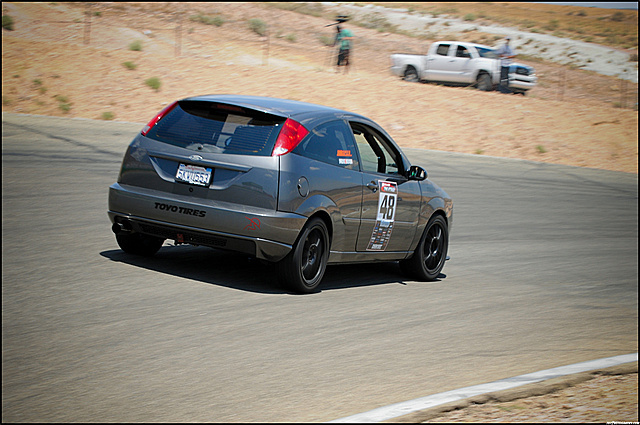 Thing was a blast to drive. I can’t imagine a turbo Fokee!